Did you know poor postural habits effect the whole body. The rib cage is 1/5 of the body. When it is challenged with poor postural habits which effect tone and tensions in key postural muscle a cascade of negative effects can be felt over a period of time. The old saying we may have heard from our mother’s and grandmother ” stand up straight” is excellent advise. Understanding the WHY to stand up straight is a little detailed , but picture are worth 1000 words. The flexors on the front of the body are the work horses of life. We reach with our arm to access all our needs. 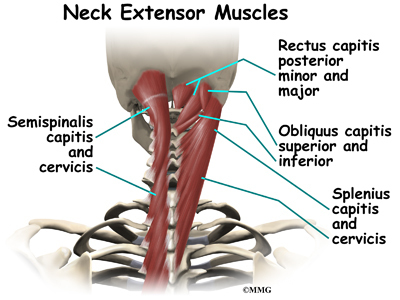 The back extensor muscles weaken over time if they are not uses. The rhomboids are the key muscles to retract the shoulders. When they are strong the whole upper body is in a great alignment. While the antagonistic muscle to the rhomboids,the pectoralis major and minor allow the shoulders to be more rounded if they are short. So understanding the balance between lengthening the pecs. and strengthening the rhomboids allows you to address a primary correction effecting the head neck and shoulders. An interesting FACT! For every inch our heads are too far forward the head carries an extra 10 lbs. per inch too far forward, so the muscles of the mid back can burn or spasm to compensate for imbalances. The quadratus lumborium muscle is what I call the parenting muscle. Parents know about this muscle well ,they hold children on the hip and this muscle is often overly contracted on one side . More than one child this muscle repeats a holding pattern for years till the youngest is about 4 years old. This muscle is key to helping the pelvis come back to a balanced state. lengthening it on the contracted side truly allows the hips to square off and a normal gait can be regained. Pregnancy and all it’s body changes effect posture in many ways. Learning to strengthen the erector spinal muscles and keep the pelvis in balance can save one much pain. The siatic nerve is often the primary reason posture in pregnancy triggers one to seek care for low back pain.http://www.babies.sutterhealth.org/during/preg_posture.html link to this to learn more about pregnancy and posture. For any mother or caregiver who has stopped counting how many times she daily lifts, bends down, or carries her children and their assorted paraphernalia, physical therapists can offer tips on proper postural techniques and methods to accomplish these daily feats without aches and pains. Mothers can avoid muscular strains to the neck, back and leg muscles by adjusting the way they go about their daily tasks. It may be as simple as remembering to do a ‘half-kneel lift’ when picking up a child or holding them close to the body when carrying him/her. Mothers-to-be should focus on arm and abdominal strengthening such as crunches and pilates-based, core stability exercises, even before getting pregnant, since repetitive squatting, bending and pushing go hand-in-hand with motherhood. Moms who are physically well-prepared will have a much easier time with these daily physical requirements. Various programs can recommend simple exercises to help improve back posture such as: stand up straight with your back against a wall, making sure that your heels, buttocks, upper back, head and arms are touching the wall. Slowly raise your arms along the wall, going as high as you can while still keeping your elbows and shoulders touching the wall. This exercise will help strengthen the muscles in the upper back. Others include pelvic tilts, bridging/hip extension, upper back/shoulder and upper extremity exercises, mini squats and heel raises to improve overall strength. Of course proper precautions should be followed including specific considerations from the patient’s physician. It is particularly important for new mothers who are 40 years of age and older to be fit before pregnancy. Because of the changes in hormonal concentration that accompanies pregnancy, laxity in ligaments and joints occur, so older prospective mothers tend to develop musculoskeletal injuries more often than their younger counterparts. That’s why it is crucial that they follow a workout program featuring extension and postural exercises during pregnancy. Various programs can also target more and more grandparents who are taking an active role in raising their grandchildren. Education on increasing strength and flexibility, cardiovascular exercises and proper nutrition and hydration is important, as these older caregivers play an integral role in their grandchildren’s upbringing. It has become increasingly important to educate them on how best to get physically stronger in order to prevent injury. There are many signs you may have bad posture. Some of the most common are when you have rounded shoulders and a rounded upper back. If your head juts forward, that’s another sign. People with poor posture can also have an arched lower back and protruding backside. Simple back pain can also be a warning sign. A person with proper posture will have three natural curves in the back. Marshall says look for the line between your shoulders to be level, not tilted. Your head should be held straight; again no tilting or turning to one side. Another sign of good posture is when the little bumps on your spine are in a straight line down the center of your back. Scoliosis is most common in adolescent females. It’s usually detected by either a doctor, coach or gym teacher, who will see that the spine is curved. You can spot it by looking in the mirror – if you see that the spine is curved, it could be scoliosis. Also, when people with scoliosis bend over, the curve looks worse. Poor posture in children who carry heavy backpacks is commonly known as backpack syndrome. You know a backpack is too heavy if the child leans forward or has rounded shoulders while wearing one. But, Marshall says there are ways to avoid backpack syndrome. A bag should be no heavier than 10 percent of your child’s body weight. For children under 10, the bag should be closer to five percent of their body weight. Also, encourage your child to wear both straps of the backpack. Check Your Child: Poor posture, as can be seen with backpack syndrome, can begin in childhood. At your child’s next appointment with the pediatrician, ask the doctor to do the scoliosis test. Marshall says steps can be taken to correct alignment problems. Keep Weight Down: Extra weight, especially a spare tire, puts excess pressure on your back and weakens the stomach muscles. Exercise Regularly: If you exercise, you are more flexible and your muscles are stronger, which helps support proper posture. Buy Proper Bedding: Marshall says to make sure your mattress is firm, but not too firm. This helps support your spine even while you sleep. Examine Work Space: Many people spend their day at a computer. Marshall says if you are one of them, you need to make sure that your chair is high enough so that your hands are over the keyboard. Also, if you have short legs, you may want to consider buying a footrest, which will help take pressure off the legs. Universal Arts studio is in the office of gateway healing arts. Michelle Saurette runs the programs and classes in this form to teach awareness of art through creative classes keep posted for future classes . Registration required. No classes at this time. Preparing the body for movement keeps one supple and strong, it teaches the left and the right nuero information which allows grace & agility to be part of your well being. Active Isolated stretching is a game changer when you want to lengthen muscle and correct posture. ” The Active Isolated Stretching (AIS) method of muscle lengthening and fascial release is a type of Athletic Stretching Technique that provides effective, dynamic, facilitated stretching of major muscle groups, but more importantly, AIS provides functional and physiological restoration of superficial and deep fascial planes. Michelle’s training of the osteopathic model allows AIS technique in her treatments sessions to aid recovery of injury as well as structurally align posture thus reducing pain.Treating the casing around muscle and not just the muscle is the key to long term lengthening.When the fascial casing learns a new size the muscle it houses can fire with greater ease. Active Isolated Stretch (A.I.S.) classes ia a game changer to gain knowledge of the myo-fascial system and how your body can reduce pain through specific stretches. This form of stretching reprograms your brain and your body to remember new ranges, so you see rapid improvements in flexibility. Gain body awareness and flexibility to shift your health into increased movement. Learn how the antagonistic muscle works hand in hand to allow your posture to be reestablished. For example the biceps and the triceps are opposing to each other. When one understands how to apply A.I.S. techniques to any muscle one realizes the whole body is connected in a remarkable manner.Weather you are recovering from an injury or wishing to invest in your personal health, A.I.S. will open your mind up to how your body needs to move. Bring a blanket or mat, wear loose clothing and bring water to re-hydrate in this interactive class. Preparing the body for movement keeps one supple and strong, it teaches the left and the right nuero information which allows grace & agility to be part of your well being. Michelle has been practicing as a health care provider for over 20 years and brings a unique teaching style to all students. Visit her web page at www.michellesaurette.com to find out more about how she can help you on your road to well choices. Reconnect with yourself and take back control of your health one stretch at a time. Please arrive 10 minutes early to be fully prepared to invest in yourself . Below are some images of AIS methodology. Active stretching refers to a physical activity in which an individual gets in to a particular position where the muscles are stretched and maintains that position without support. Active stretching usually increases active flexibility while strengthening the agonistic muscles. (NaturalNews) Oil pulling is said to be a powerful means of maintaining good health as well as an effective cure for a variety of ills. This is an ancient technique, first described in 5,000-year-old Ayurvedic texts. The practice is simple. Soon after waking, before eating or brushing your teeth, swish your mouth with a spoonful of high quality oil in order to “pull” bacteria, parasites and other toxins from your teeth and mucus membranes. Deepak Chopra promotes the practice in his 2001 book, Perfect Health. Chopra notes that oil pulling is one of many Ayurvedic techniques valuable for purifying and strengthening the body. According to Ayurveda, organ meridians are present in the tongue just as they are in key points such as the hands, feet and ears. That makes the tongue integral for diagnosis, and care of the tongue important in preventing and treating illness. The ancient practice of oil pulling makes sense in another way. As oil is swished back and forth before being spit out, the mouth`s mucous membranes and large veins on the underside of the tongue are likely to absorb vital nutrients from the oil. Sesame oil, one of the oils traditionally recommended for this practice, has antiviral and anti-inflammatory properties. It is rich in omega-3 fatty acids. Plus it offers iron, calcium, magnesium, copper and phosphorus and vitamins A, B and E.
The practice of oil pulling has been shown effective at removing bacteria in the mouth. A two-week study at Meenakshi Ammal Dental College and Hospital in Chennai, India found that two weeks of oil pulling caused a significant reduction in Streptococcus mutans count, reduced plaque and modified gingival index scores. Adherents of oil pulling claim that the practice does more than improve dental health. There`s anecdotal evidence for improvements in joint pain and arthritis, migraines and sinus infections, skin disorders such as eczema and persistent rashes, allergies, digestive problems, and more. Soon after waking (before eating, drinking or brushing your teeth) take up to a tablespoon of oil. Tradition prescribes cold pressed sesame or sunflower oil. Many people have found good results with other high quality cold pressed oils such as coconut oil, flaxseed oil, walnut oil, olive oil or grapeseed oil. You may want to experiment to find the right one for you. Swish the oil back and forth, pulling it through your teeth and around all surfaces of your mouth. Ideally you should do this for 10 to 20 minutes. Chances are good that it will take a few days to adjust to this procedure. You may need to spit the oil out after only a few minutes when you start. The oil will mix with your saliva, becoming thin and white. It`s said that when it becomes white, this is an indicator that it has “pulled” toxins, and you can spit it out. Don`t swallow the oil. It`s best to avoid spitting the oil in your sink on a regular basis. Flush it down the toilet. Or you might develop the habit of spitting in a container where you collect compost. After spitting, some say it`s best to rinse your mouth well with warm salt water. Others suggest brushing your teeth with baking soda or natural toothpaste. It`s generally agreed that you need to drink a glass or two of water after clearing your mouth by one or other of these methods.